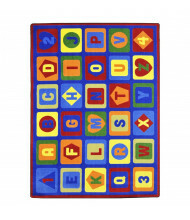 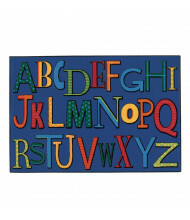 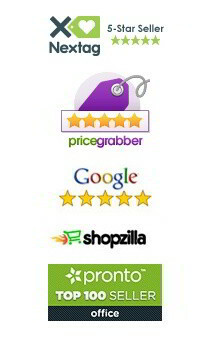 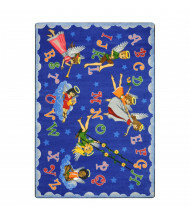 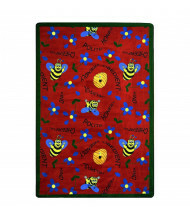 Alphabet & Number Rugs: Makes a fun and colorful way for children to get familiar with the alphabet or numbers. 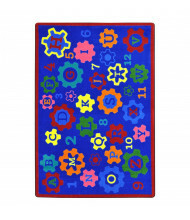 Classroom rugs available in letter, number, and a combination of both. 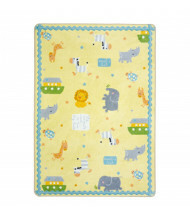 Animals & Nature Rugs: Introduce children to the world outside the classroom with engaging images of animals and nature. 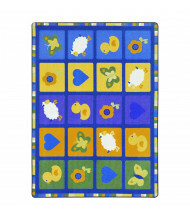 Help them identify common barnyard creatures to more exotic animals from around the world. 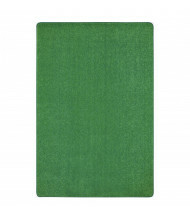 The importance of nature is depicted in images including trees, ponds, and grass. 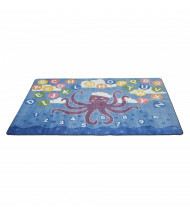 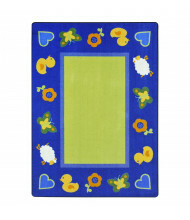 Bilingual & Multicultural Rugs: Encourage interest in other cultures at an early age. 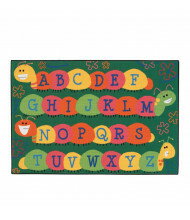 Bilingual rugs available in English/Spanish and help children learn basic words using fun graphics. 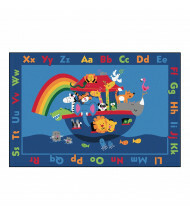 Maps & Geography Rugs: Show children the larger world including the United States and all seven continents. 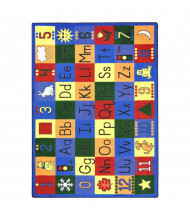 Help familiarize younger minds with different regions using images including flags and regional graphics. 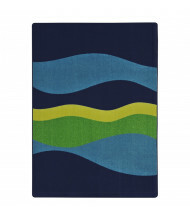 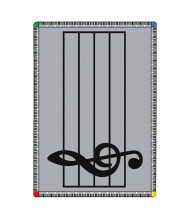 Music Rugs: Foster the joys of music and playing instruments with rug graphics like music staves and notes. 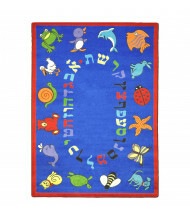 Religious Rugs: Introduce young children to their own spirituality. 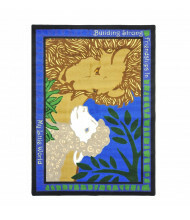 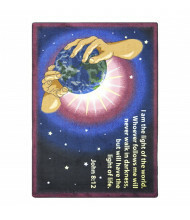 Rug art includes Christian and multi-denominational symbolism. 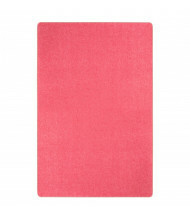 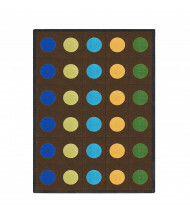 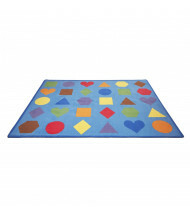 Shapes & Activities Rugs: Stimulate young minds with rugs that encourage play and thinking. 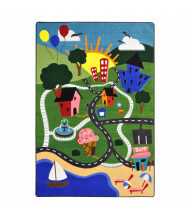 Pictures like roads can be used with toy cars for added play. 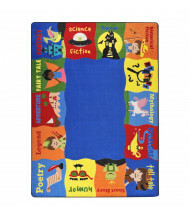 Other themes include STEM disciplines, reading, and self affirmations. 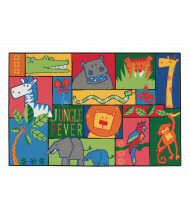 Seating & Placement Rugs: Make sitting fun with rugs that help children find their spot using colors, shapes, and cartoons. 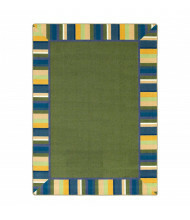 Solids, Stripes, & Patterns Rugs: Add appeal to any learning or communal space with solid shapes, stripes, and patterns. 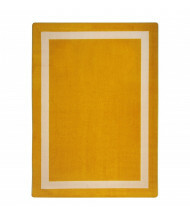 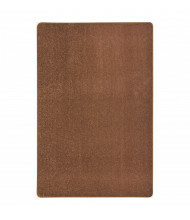 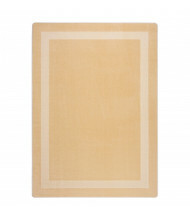 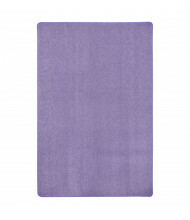 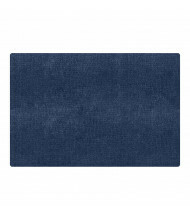 Rug colors include bright layouts as well as more subdued, tranquil options.